Our story is one that everyone can relate to regardless of whether they are a stay-at-home mother of three, a physically active young man or a career woman running a business. Our story begins with Kirti. Kirti is a young woman whose days are filled with activities. There are simply not enough hours in the day to get everything done that she would like to. Although Kirti had willpower enough for three women, her body could not keep up with her tempo. Thus, Kirti wanted to enrich her diet with natural vitamins and minerals. She began to research how to get additional energy and how to make the most of the day without visiting the pharmacist or taking vitamin pills. How can you get more out of your food? Emphasis being on the word “more”! It is the key word that introduced Kirti to the wondrous world of superfoods. Superfoods contain more vitamins and minerals than most other fruits, vegetables or seeds. Consuming superfoods helps you to make the most of your day, fills you with energy and makes you shine! Superfoods are plants, berries and seeds containing very high levels of vitamins and minerals. Such food can also be found in Estonian nature. For example, some native superfoods are blackcurrant, raspberry, black chokeberry, beetroot and wild garlic. Witnessing the remarkable changes in her general well-being, work ability and appearance after eating superfoods, Kirti decided to share this discovery with others. After a long period of testing, Kirti and her wonderful team have now developed the product line Be More Superfoods. 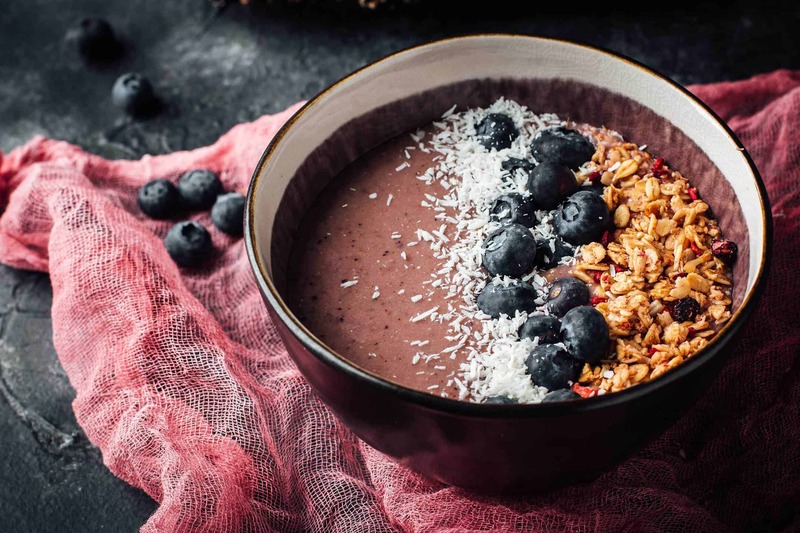 These products are superfood mixes that are best used in smoothies, yogurts, curd cheese or even in porridge as a replacement for jam.It is difficult to find a better and healthier snack than a smoothie enriched with superfoods. 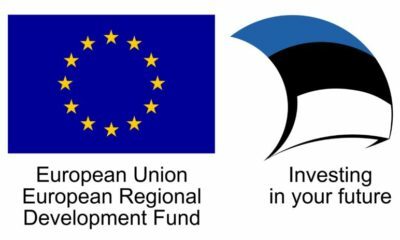 We mixed Estonian superfoods with foreign ones and developed four different mixes that contain superfoods from three continents. In addition to their great nutritional value, they also taste fantastic. 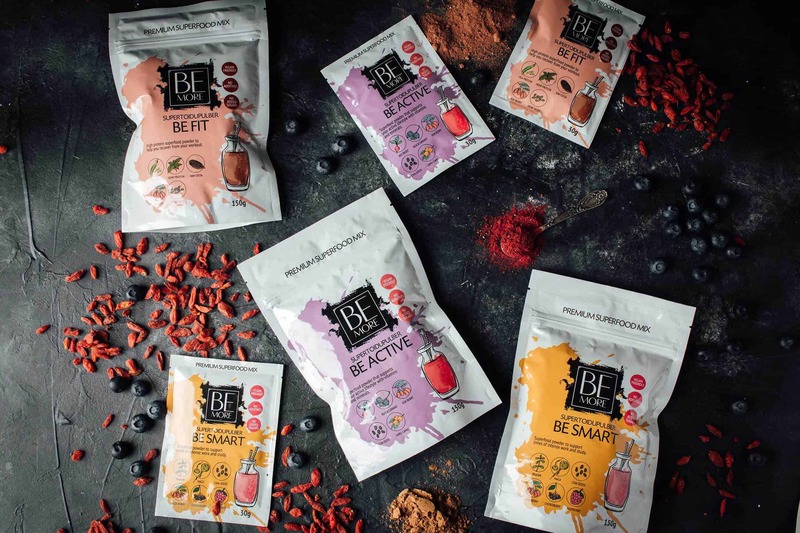 Be More superfood mixes satisfy your daily vitamin and mineral needs and give you an energy boost, regardless of whether you are a stay-at-home mother, an active young man or a career woman running a business. We have compiled a recipe book from which you can find ideas for using our superfood mixes. Our recipe book is always being updated in order to ensure that you can enjoy the latest ideas and exciting flavour combinations. We want to help everyone the best way we can. We help you to Be More Fit, Smart, Beautiful and Active, but we want You to give something back. So every pack you buy we will donate 5 cents to Estonian Cancer Society. Remember the change doesn’t start without doing anything. The biggest change comes from little things!